« A Balmain Coalmine Worker who became an Oyster Saloon King. 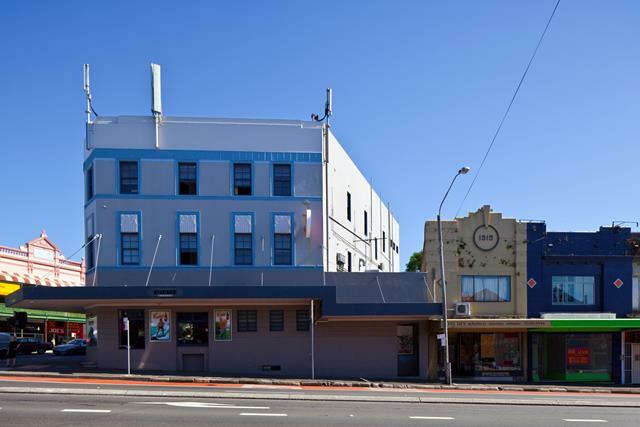 4 comments to Parramatta Heritage Street Project – What are your thought’s of Parramatta Road? As a child I lived at 9 Wetherill St Leichhardt, resumed for the existing Council Chambers in about 1970. My mother had lived in that house part of her childhood. 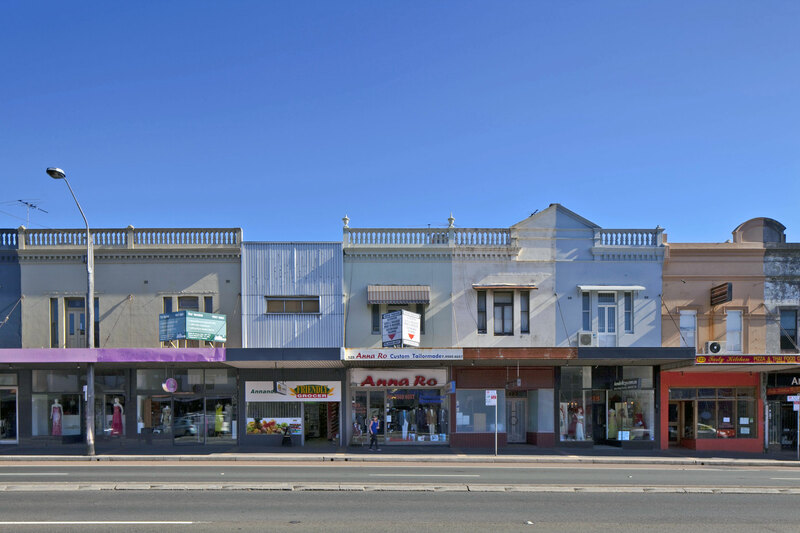 The strip of Parramatta Rd along the northern side from Norton St to Catherine St was a thriving shopping hub, comprising many different shops. 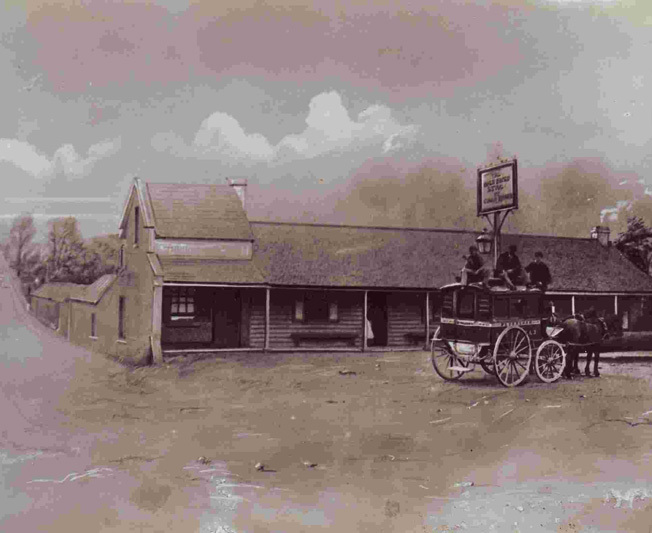 some of these were family businesses which had been there for a long time such as Knispels Hardware, some were parts of large chains such as Coles and the Soul Pattinson Chemist. 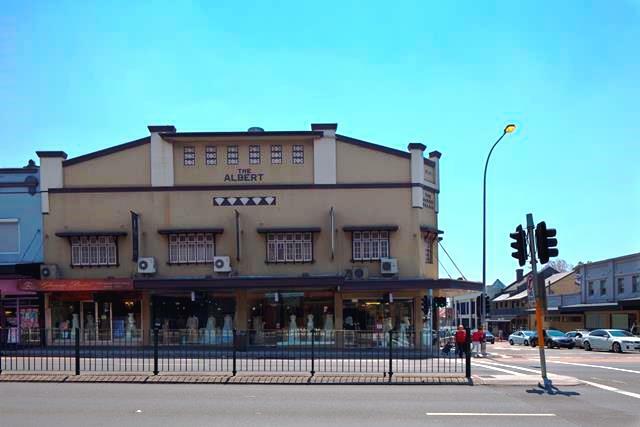 The Albert Palais dance hall was above the shops near Catherine St. We used to walk down Balmain Rd to Parramatta Rd, saying that we were “just going down the Parra”. The old Stadium in Balmain Rd used to run from behind the BaldFaced Stag pub on the corner through to Hay St. My father and uncles used to go to “the fights” there. It became a fancy new tenpin bowling alley in the early 1960s. It was later government offices and then became subsumed into the Italian Forum site.There was an interesting small department store next to the Bald Faced Stag on Parramatta Rd. It had what must have been one of the last automated cash carrying systems in existence. I forget the name of the store but it operated up to the 1970s.It had a central cashier in a mezzanine office and shop assistants would load the purchaser’s cash into a small “trolley carriage” and zing it (electrically propelled?) up the wire to the cashier who would similarly return the change. 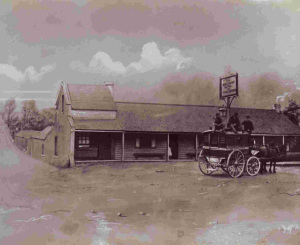 The southern side of Parramatta Rd was not quite so successful, and there were fewer businesses on that side, although the Petersham Inn seemed to be a quite successful hotel on that side. During the 1950s I remember that there were double yellow lines painted on the footpath so that pedestrians would keep to the left. I do not know whether they were a great success. A few times I came across Bea Miles cadging a ride in a taxi along that part of the road, and my mother would tell me of how Bea Miles used to “scale” ie hitch a ride on the trams and declaim Shakespeare. When I was in primary school, my mother taught me to catch a tram (and later bus) from Leichhardt Town Hall down along Parramatta Rd and would meet me in the city. I remember paying a penny (or maybe three -thrippence) for the fare. Both trams and buses had conductors. When trams were entirely replaced by buses the double deckers allowed smoking on the top deck, and if as a school kid you rode up there -because you didn’t have to stand up for adults- you would reek of cigarette smoke, leading to trouble at home. Julia, you forgot he Picture Shows. The Strand, The Marlboro,The Olympia, The Royal (Annadale) & the Odeon in Petersham. Five theatres all within walking distance. What about the Rock N Roll dances Johnny O’Keefe used to put on at the old Police Boys Club in Norton Street. Two bob to get in. The wrestles at the old Stadium. I played Rugby League for The Leichhardt Wanderers & Leichhardt CYO. 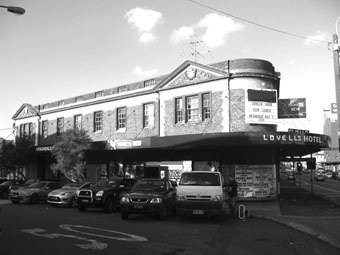 Thank you for sharing your memories of Parramatta Road they a strong and vivid memories that assist in unlocking the past, the department stall next to the Bald Face Stag sounds very interesting. Do you have any old photograph’s of Parramatta Road from that era. Local History Librarian. The shop you can’t remember was Welsey Smith’s. The fare on the tram was a penny. You have a great memory lady. I was bought up in Elswick Street Petersham two streets back from Parramatta Road. Went to Leichhardt Primary from 1951 to 1954.